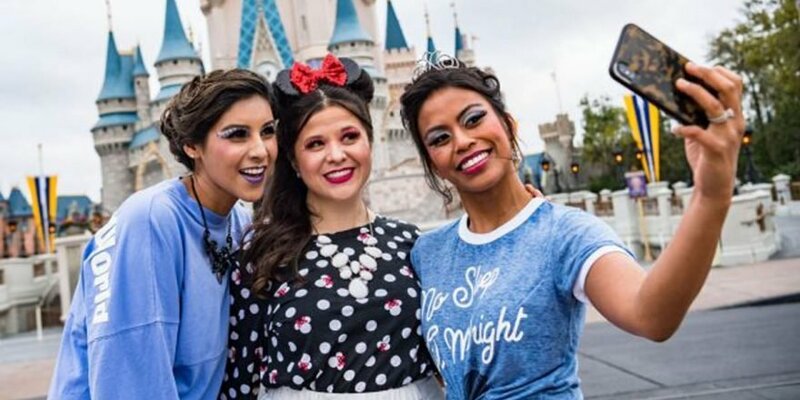 Home » Beauty » Disney World Now Offers Princess Makeovers For Adults, So Grab Your Crown and Go! Disney World Now Offers Princess Makeovers For Adults, So Grab Your Crown and Go! Disney princess makeovers aren’t just for kids anymore. While fans of the Disney parks may be familiar with the adorable beauty services offered for children at the Bibbidi Bobbidi Boutique, it appears Disney World is now offering princess makeovers for adults too. The boutique is still reserved for little ones, but you can transform into your favorite heroine using the “Character Couture” packages offered at Senses Spa locations throughout the resort. The park’s guest services manager, Joseph Motowidlak, told Today the makeover service launched in October 2017 for Mickey’s Not-So-Scary Halloween Party, but Disney decided to keep it year round after seeing the response. “We really saw a need for some kind of transformative makeover experience for people of all ages — something customized to allow guests to really enjoy their day on our property,” Motowidlak said. According to the Disney Parks blog, spa guests can receive nail, hair, and makeup treatments inspired by a variety of familiar characters. Prices start at $50, with a full package costing $120. Your options aren’t just limited to princesses, either; visitors can transform into iconic villains, galactic characters, and other “hero/heroine” styles. Whether you’re amping up the glam for Disney’s Halloween festivities or simply want to spend a normal day in your favorite princess’s glass slippers, these makeovers are worth checking out. Watch the video above from Disney Parks blog to see the process go down — just look at that cute Minnie Mouse hairstyle.